Have you ever wished you could find more time to do the things you want to do, rather than just doing the things you have to do? Most authors juggle day jobs and family responsibilities along with their writing. Because they need to find time to write, they look for ways to save time in other aspects of their lives. Cooking often takes up a huge chunk of time. 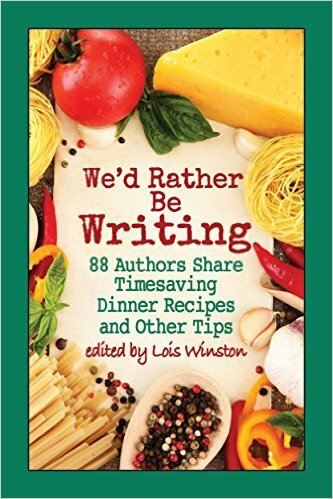 In We’d Rather Be Writing: 88 Authors Share Timesaving Dinner Recipes and Other Tips you’ll find easy, nutritious recipes for meat, poultry, pasta, soup, stew, chili, and vegetarian meals. All of the recipes require a minimum of prep time, freeing you up to read, exercise, garden, craft, write, spend more time with family, or whatever. Within the pages of We’d Rather Be Writing: 88 Authors Share Timesaving Dinner Recipes and Other Tips you’ll be introduced to authors who write a wide range of fiction—everything from mystery to romance to speculative fiction to books for children, young adults, and new adults—and some who write nonfiction. Some of the authors write sweet; others write steamy. Some write cozy; others write tense thrillers. Some are debut authors with only one published book; others are multi-published and have had long publishing careers. Some are New York Times and USA Today bestselling authors who may or may not be familiar to you, but being a bestselling author doesn’t mean they still don’t have to juggle their day job along with their writing. The authors who contributed to this book are a rather creative and resourceful bunch when it comes to carving out time from their busy lives. So in addition to timesaving recipes, within the pages of this book you’ll find timesaving and organizational tips for other aspects of your life. And if you happen to be a writer, you’ll also find a plethora of great ideas to help you organize your writing life. Authors who contributed to this book include: Lisa Alber, Reggi Allder, Judy Alter, Krista Ames, Rose Anderson, Cori Lynn Arnold, Judy Baker, Beverley Bateman, Donnell Ann Bell, Paula Gail Benson, Kris Bock, Maureen Bonatch, Ava Bradley, Susan Breen, Lida Bushloper, Michelle Markey Butler, Ashlyn Chase, Judy Copek, Maya Corrigan, Mariposa Cruz, Melinda Curtis, Lesley A. Diehl, Conda V. Douglas, Nancy Eady, Helena Fairfax, Jennifer Faye, Flo Fitzpatrick, Kit Frazier, Shelley Freydont, Mariana Gabrielle, Rosie Genova, Marni Graff, Joanne Guidoccio, Margaret S. Hamilton, L.C. Hayden, Linda Gordon Hengerer, Heather Hiestand, R.Franklin James, Kathryn Jane, M.M. Jaye, Elizabeth John, Stacy Juba, Gemma Juliana, Carol Goodman Kaufman, Melissa Keir, Kay Kendall, A.R. Kennedy, Lynn Kinnaman, Marie Laval, B.V. Lawson, Claudia Lefeve, Alice Loweecey, Cynthia Luhrs, Sandra Masters, Lisa Q. Mathews, J.M. Maurer, Sandra McGregor, Kathy McIntosh, Claire A. Murray, Ann Myers, Tara Neale, Stacey Joy Netzel, Jayne Ormerod, Alice Orr, Laurel Peterson, Irene Peterson, Pepper Phillips, Caridad Pineiro, Kathryn Quick, Renée Reynolds, Josie Riviera, Elizabeth Rose, C.A. Rowland, Cindy Sample, Sharleen Scott, Terry Shames, Susan C. Shea, Judy Penz Sheluk, Joanna Campbell Slan, Karen Rose Smith, Lynette Sofras, Kaye Spencer, Skye Taylor, Lourdes Venard, Lea Wait, Regan Walker, Lois Winston, and Aubrey Wynne. 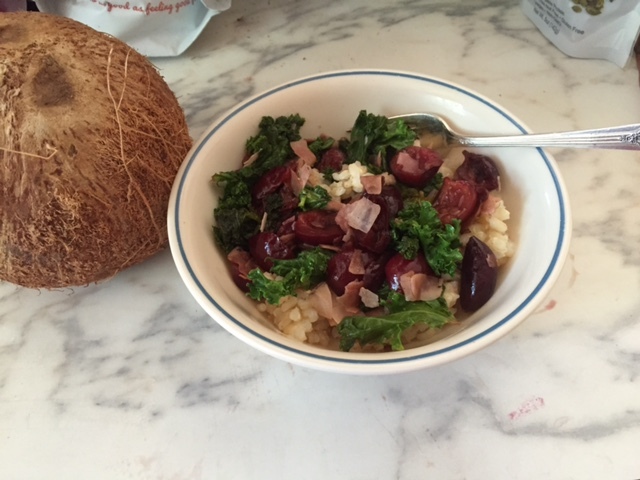 This entry was posted in Book info, recipe, Smoothie on October 28, 2015 by Heather. I created this delicious dip while using up leftovers, but my husband absolutely adored it. Microwave on medium heat for about two minutes, stopping a couple of times to stir. I served this with tortilla chips, tater tots and roasted Brussels sprouts. It went well with bean dip. This made three generous servings (your household may vary). We’d Rather Be Writing is available for a $.99 preorder. It releases on October 30th! This entry was posted in recipe and tagged heather hiestand, recipe, we'd rather be writing on October 8, 2015 by Heather. I’ve gotten kind of repetitive in my smoothie making. 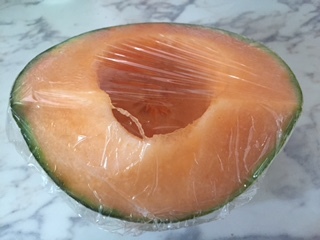 Once I figured out the “perfect” smoothies for watermelon and cantaloupe, I kept on making those with side tests on a cookbook I’m reviewing. Another thing I’m trying to figure out is the balance between sweet and sour. It’s an individual thing. Yesterday I made a mango/pineapple smoothie from a recipe that I didn’t like. It was too sour for me. Of course I had played with the recipe to lower the calories and when you start substituting you can ruin an otherwise good recipe. 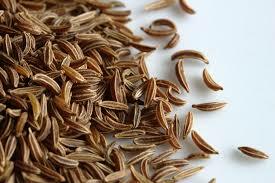 If you have patience, it’s always a good idea to make a recipe as shown first. This is my take on a mango/pineapple smoothie. Not too sweet and much less sour! Blend together! Makes one serving. 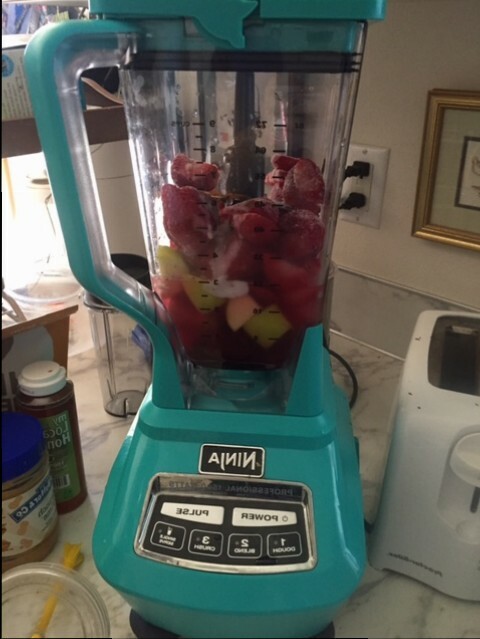 This entry was posted in recipe, Smoothie and tagged heather hiestand, recipe, smoothie on June 15, 2015 by Heather. 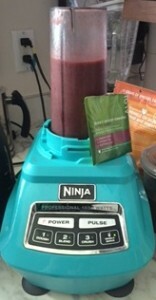 As I continue on my smoothie journey, I think of new fruits to play with. For those of you who eat a lot of fruit this is no big deal, but I was never very interested in fruit until now. Cantaloupe is a new favorite, a little reminiscent of mango in smoothies for me, adding a sweet, bland taste that is very easy to drink. I came up with this refreshing mix today, after yesterday’s very healthy smoothie. I added celery to a smoothie for the first time and it worked out better than expected! 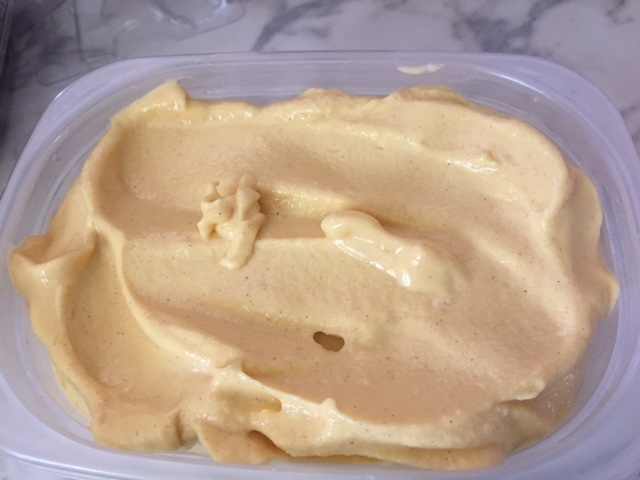 I wanted crunchy ice, so I crushed it in my NutriNinja blender, and then blended the other four ingredients before re-adding some of the ice. This added some texture to the blend. 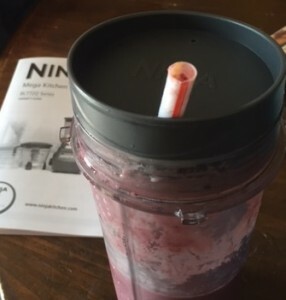 This entry was posted in recipe, Smoothie and tagged heather hiestand, NutriNinja, smoothie on May 26, 2015 by Heather. I received a test box of five different Aloha products this week and I’ve had fun trying them out. The end result is that I decided to continue with the brand and my first monthly box is coming soon. Based on a quick run through grocery store Fred Meyer, their prices are a fair amount higher than basic store brands, but not insanely so. I’m assuming the quality is better. Certainly the taste is! When I go to Whole Foods next I’ll see how their prices compare. 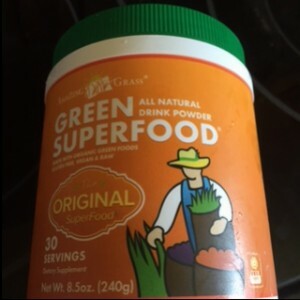 I tried the original Good Greens powder (Daily Good Greens) in water alone, feeling brave. Sure, it isn’t the yummiest potion ever, but I drank it fast and it didn’t give me any trouble. I also managed to get my work done for the day, despite about five hours of sleep the previous night, so maybe it did up my energy as advertised. I certainly needed some. I was most intrigued by the Chocolate green powder. I added it to a basic nut milk and banana/date smoothie. 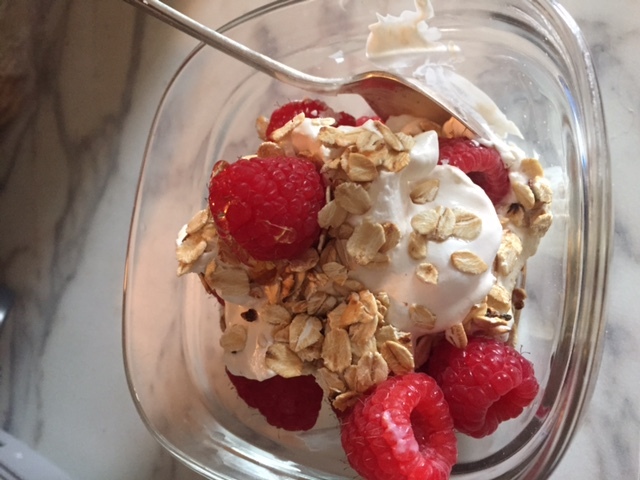 The end result was simply delicious to start, but changed on me quickly. I recommend drinking it in non-leisurely fashion. I had better luck with the Berry green powder. I mixed it into a simple, three ingredient fruit smoothie (idea from a Blender Girl smoothie recipe) and it worked out very well. Next, I broke out the Vanilla Aloha Protein. I found a drink recipe here: https://aloha.com/shop/recipes. Some yummy looking stuff, but I did doctor up the recipe I found with banana and spinach to make sure it had more than protein going for it. The drink was quite good, but even though my smoothie was around 400 calories, it didn’t make me feel like I had a meal. So, back to the drawing board with a protein smoothie. With that many calories I don’t want to feel hungry for at least a few hours. I might still be happier using food sources for protein, like yogurt, but I’m going to experiment more with this product when my first month’s shipment comes in. What is your favorite protein source for smoothies? This entry was posted in recipe, Smoothie and tagged Aloha, heather hiestand, protein, superfood on May 23, 2015 by Heather. If you’re like me, on the quest to get some healthy products into your diet, you probably didn’t just buy whole foods, but also some of those lovely powdered superfoods that promise so much. This is the one I purchased, pictured above. I didn’t have much luck using it at first. It destroyed the drinkability of the first (perfectly good otherwise) smoothie recipe I added it to. I halved the dose of the powder and that did better, but I thought there must be some combination that can hold up to a full dose of my canister of green powder. Today, I hit upon it, and here is the recipe. Enjoy! Blend until the pear is broken up. What makes superfood powder or other green stuff tasty for you? My theory is that it is the maple syrup/oats combination that is cleaning up the powder taste. What do you think? This entry was posted in recipe, Smoothie and tagged Green Superfood, heather hiestand, recipe, smoothie on May 20, 2015 by Heather. Yesterday I technically had a smoothie as a snack, but I’m guessing McDonald’s smoothies don’t count in my health journey, so I decided not to count. At least I had that instead of a high calorie coffee drink like I normally would have. So, when I came home from my shopping trip I put on my new white shorts (oops) and started concocting. The results were delicious, but dribbly, so be warned! Don’t wear white while playing with frozen blueberries! Blend until the ice cubes are dissolved. I found I could really taste the coconut and arugula in this one. Delish! What are you using for protein in meal replacement smoothies? I had been thinking almond milk did the trick but then I looked at the box. It’s only one gram of protein per cup, compared to nine in cow’s milk. This entry was posted in recipe, Smoothie and tagged heather hiestand, recipe, smoothie on May 11, 2015 by Heather.